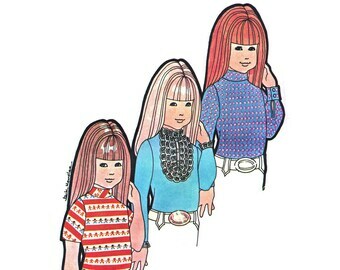 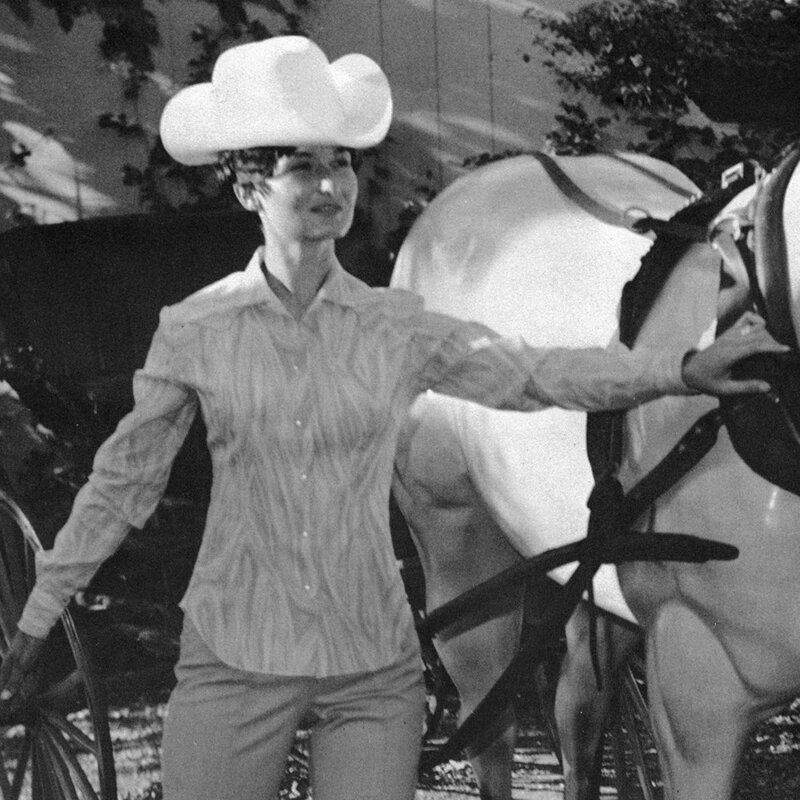 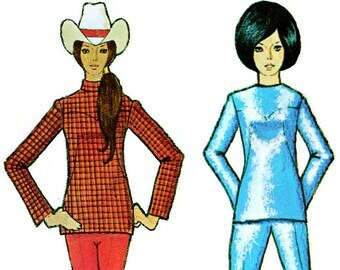 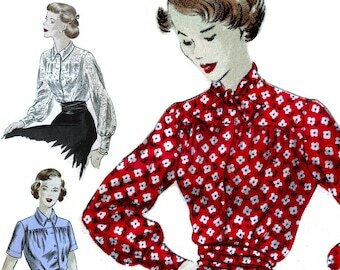 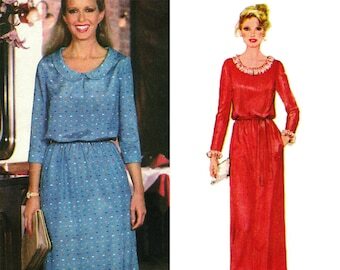 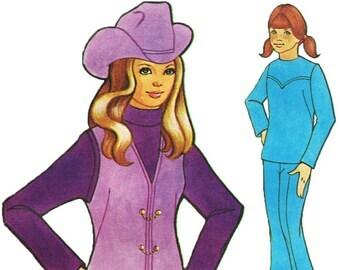 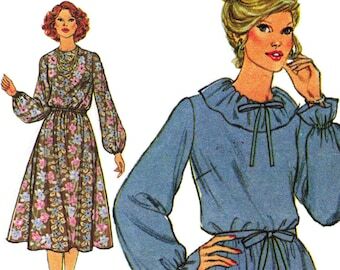 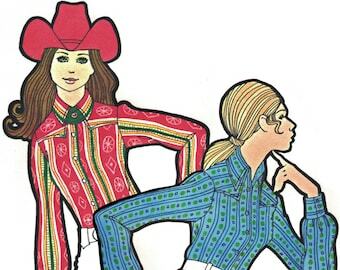 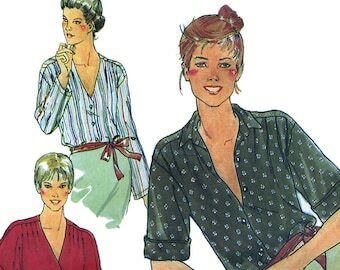 Vintage c. 1970s Authentic Patterns, Inc. western sewing pattern 208, misses blouse, size 6. 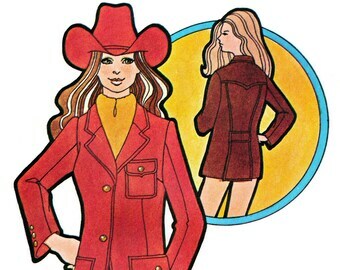 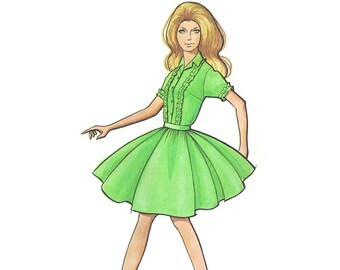 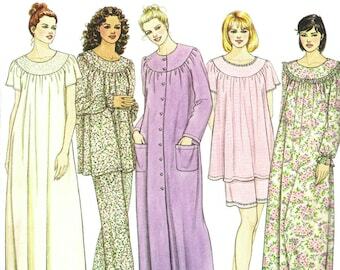 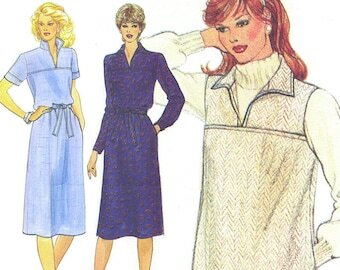 Pattern is uncut, with factory folds, and is complete with instructions. 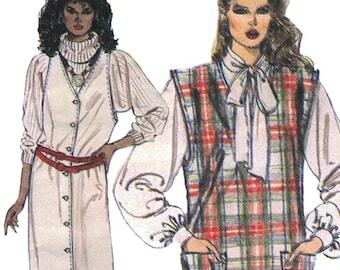 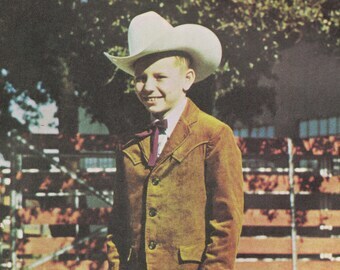 Described as: "Made in a mannish style with long button sleeves, buttoned down the front with V-neck collar, yoke and darts in the back."